Hi friends! Comin atcha tonight with a card made for Market Street Stamps Paint the Town Color Challenge. I love participating in their challenges! This one? Phew – toughie. I am NOT a purple gal. BUT I pulled out the Comforting Florals stamp set (for the first time ever) and thought they would be perfect for this color combo. It looks navy in the picture, but I swear it’s purple! The color is Stampin Up Concord Crush. Love this color. 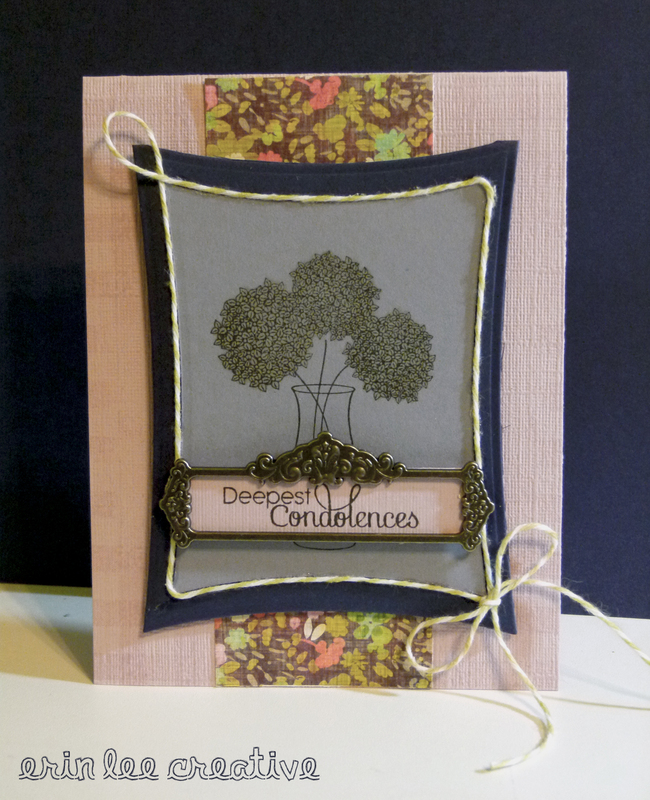 I also used my new Spellbinders Nestibilities (wonky rectangles) and The Twinery Twine in Honeydew. This is card #9 for my 30 in November Challenge – I’m making 30 cards for each day in November! Yay for keeping up with goals.